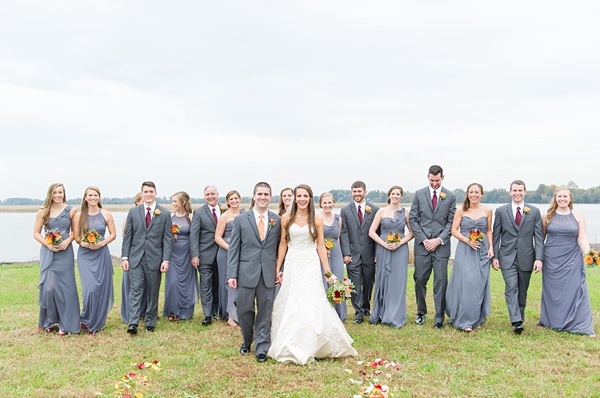 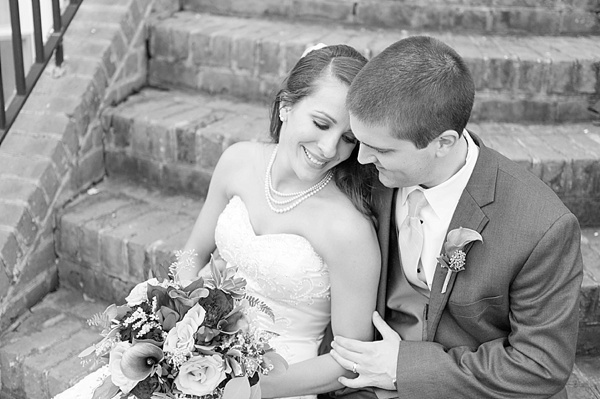 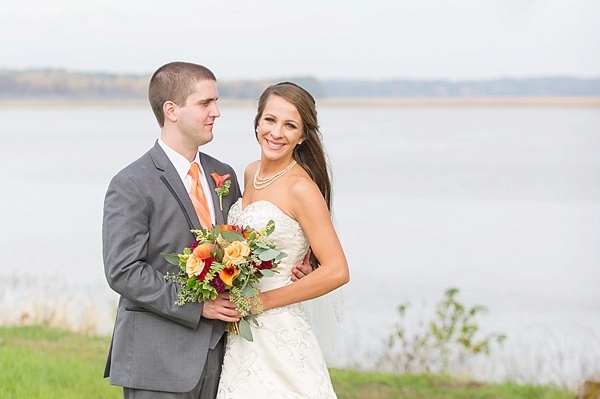 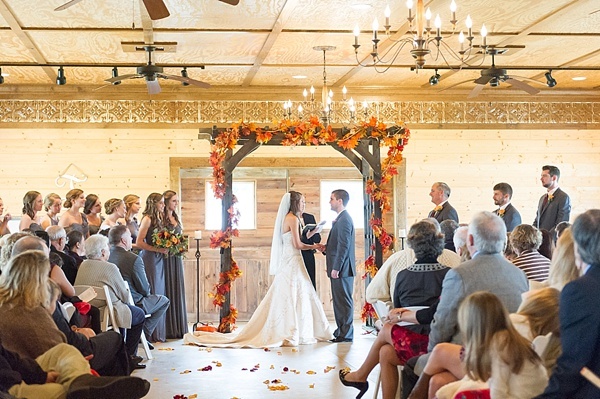 Getting married in Virginia oftentimes means unpredictable weather, so when rain began to fall at Josh and Cara's autumn wedding, the team at Cousiac Manor switched gears and made a beautiful inside ceremony instead. 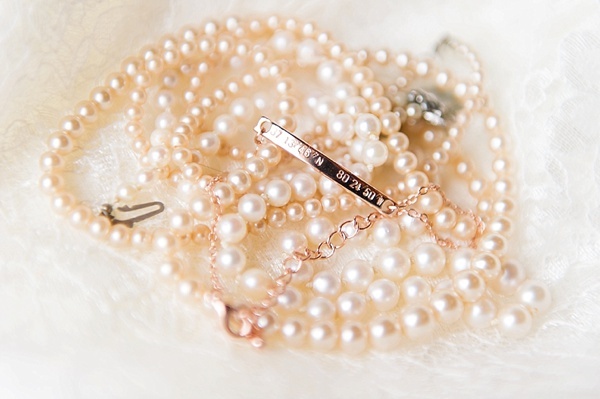 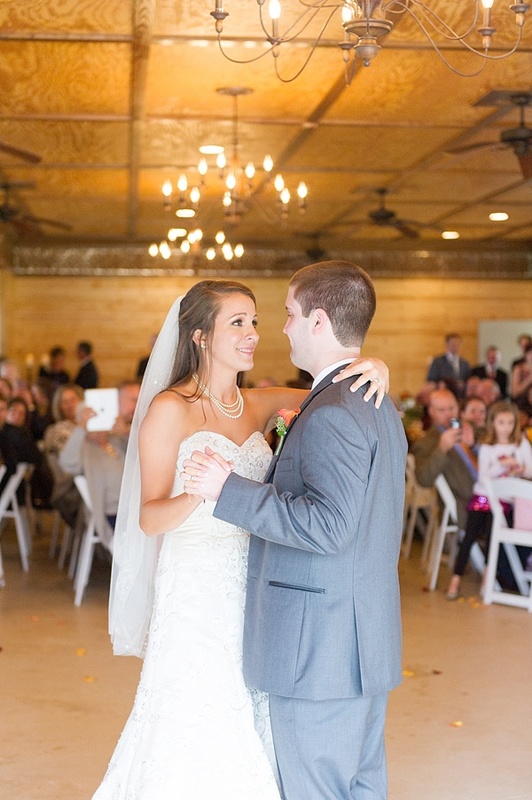 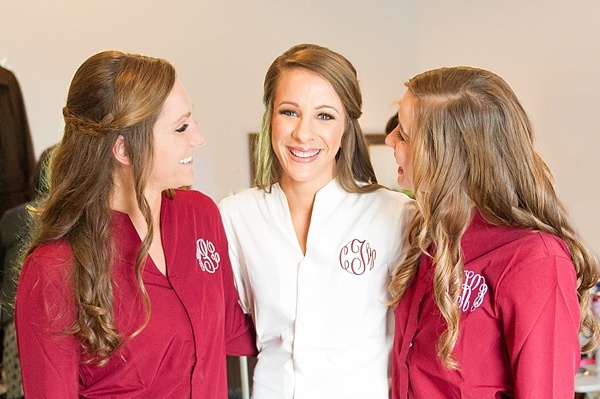 With a couple who had known each other since high school – but became sweethearts several years later – they knew the most important part of their wedding day was still intact: being together and celebrating with their closest loved ones. 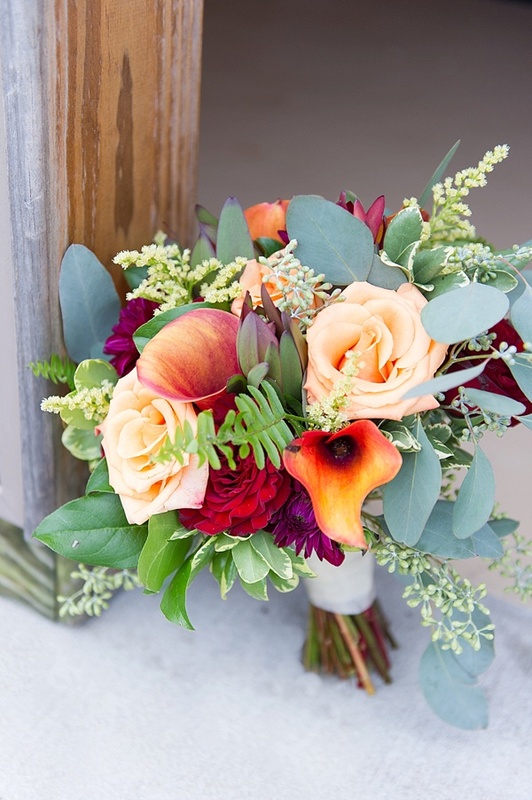 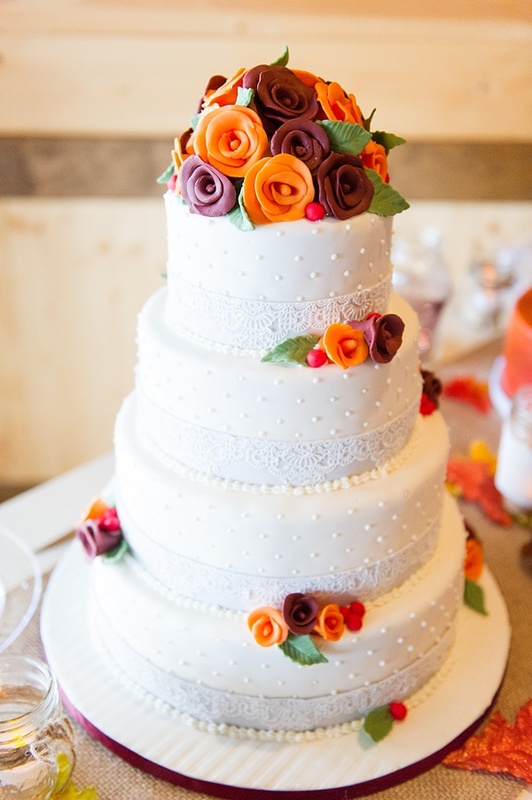 We love seasonal weddings, and with marsala and tangerine hues with a light dusty blue to tie in the waterside elements, this beautiful day in New Kent was on trend from start to finish. 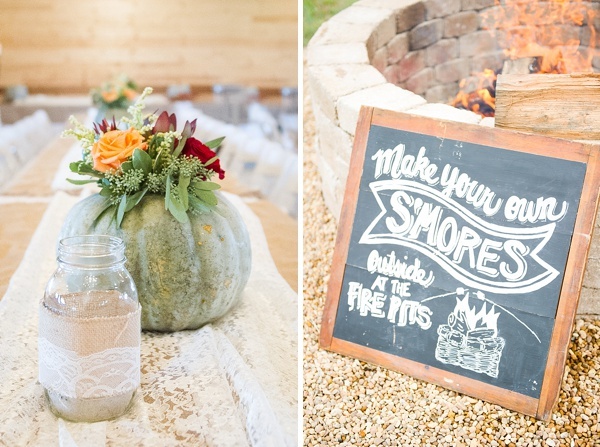 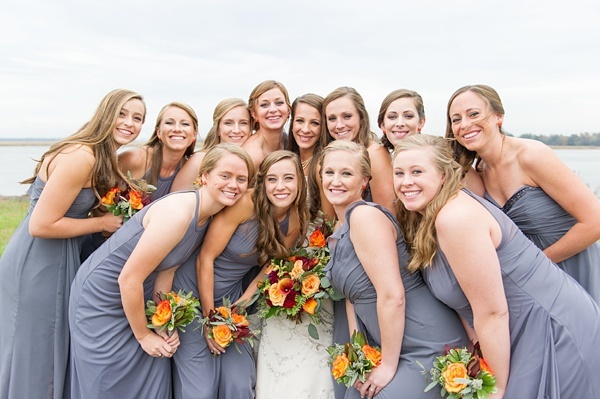 Lauren Simmons Photography focused on the fun (a s’more bar! 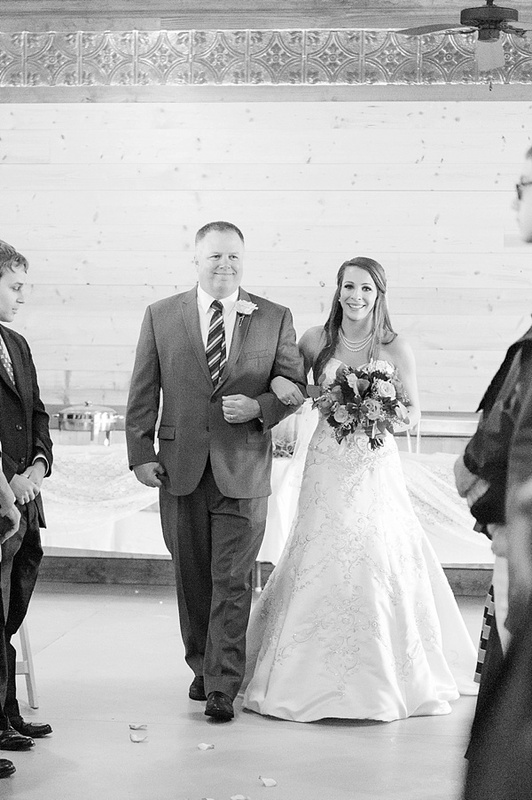 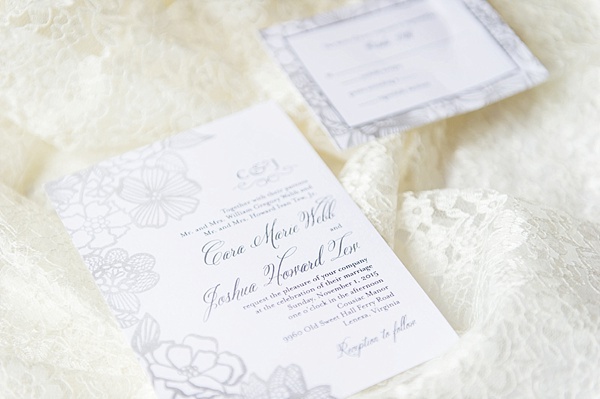 ), the special details (lacy blue TOMS shoes), and the moments Josh and Cara first spent as husband and wife to make this a wedding worth remembering forever.